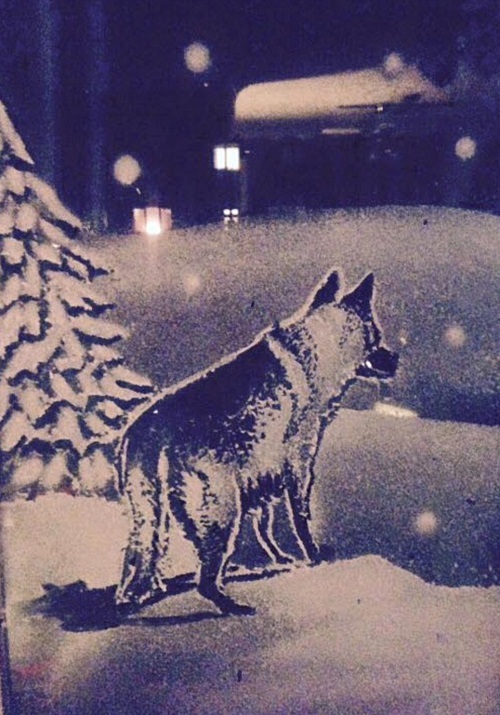 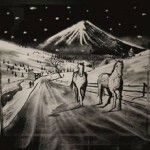 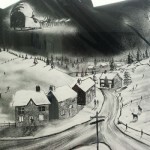 English artist Tom Baker creates detailed snowy scenes on window panes using just snow spray and a dry paintbrush. 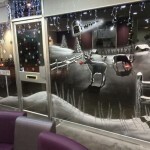 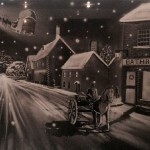 Inspired by winter and Christmas spirit 36-year-old Tom Baker from Berkshire has set up a business called Snow Windows. 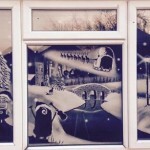 He has got a lot of requests from locals asking him to decorate the windows of shops and houses with winter scenes. 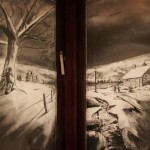 His unusual technique started with the idea when he sprayed an entire window and grabbed a brush to draw a wintry scene in the white spray. 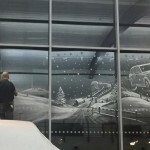 Tom creates different layers with the spray and then removes parts to form silhouettes. 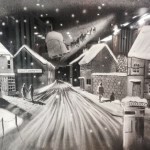 Most of his images include vintage scenery – village landscapes with cottages, old cars, horses and carts and street lights glowing in the snowy night. 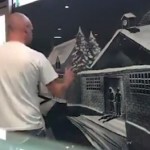 Tom began painting in this technique 8 years ago, but after he moved to Australia he dropped his new hobby. 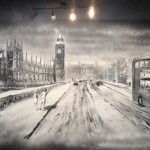 But when he moved back to the UK in 2015 with his life and business partner Keri Ackling, he took it up again and launched it as a business. 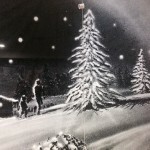 He admits, that Keri encouraged him to do something ‘more creative’ than simply spraying dots on the window with snow spray. 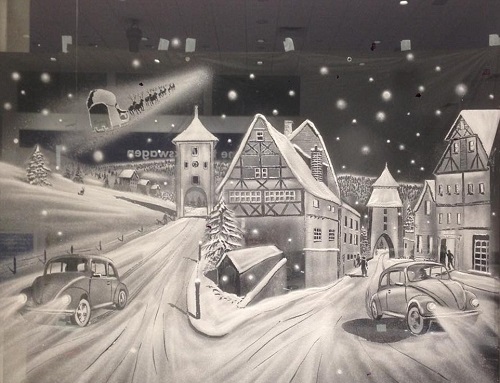 Now she is proud of Tom for being so talented and creative, and what’s more important – “he has spread Christmas joy into so many people’s lives, and all walks of life, from big firms to charities to everyday people like us”. 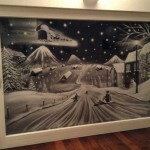 Tom has created free works for charities and to showcase his talent but he usually charges for the designs. 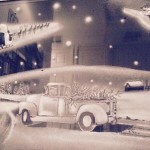 The cost depends on whether on the intricacy of the piece, where they live and the size of the window. 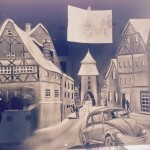 The detail takes plenty of time. 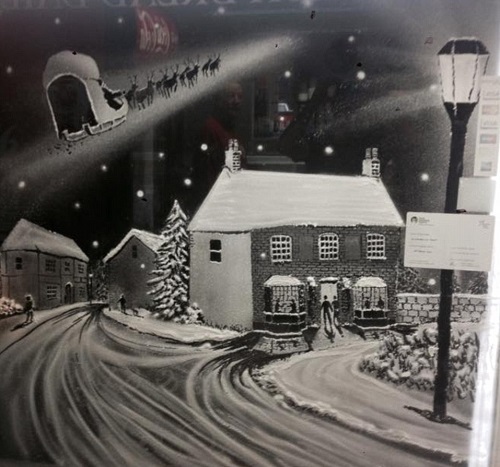 In some windows Father Christmas’s sleigh is seen flying through the air and and he has depicted Raymond Briggs’ Snowman soaring through the night sky. 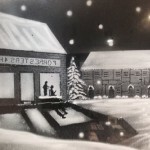 If drawing the diorama from inside, Tom also needs to be careful to write back to front so passers-by outside will be able to read the lettering.